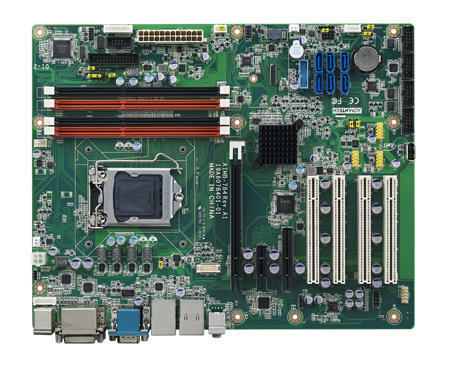 AIMB-784LGA1150 4th generation Intel® Core™ i7/i5/i3/ Pentium ATX with DVI/VGA, DDR3, SATA III. Both the EKI-7554SI/MI and EKI-7559SI/MI support two SC type Fiber ports, EKI-7554SI/MI four Fast Ethernet ports and EKI-7559SI/MI can support up to eight Fast Ethernet ports. To create reliability in your network, the EKI-7554SI/MI come equipped with a proprietary redundant network protocol -- X-Ring Pro that was developed by Advantech, which provides users with an easy way to establish a redundant Ethernet network with ultra high-speed recovery time less than 20 ms. Furthermore, EKI-7554SI/MI also supports many advanced network standards to optimize network performance, ease maintenance issues, and secure network safety. Established in the year 1987, Span Controls is the most promising Manufacturer firm involved in displaying their leadership potentials by producing the excellent grades of SMPS & Battery Chargers. We strive to straighten our product spectrum to the coveted repute by offering a broad array of quality tested LED Drivers, Automation SMPS and Battery Chargers. Our attempts to obtain the pioneering development reflect in our extremely profitable product range which is huge in demand for its industry proved designs, uniform finish, high flexibility, long-lasting quality construction and exceptional corrosion resistance. With an objective to create enduring connections with a large client base, our R&D specialists are effective in winning deepened insights of our customers’ business goals. Our line of products is appreciated by distinct industrial verticals; hence, we take appropriate consideration to the contemporary and forthcoming market requirements. We strive to develop products with clients’ best interest in mind, which is why we believe in the conception of improvisation that makes us liable to produce results that respond to the unmet customer requirements. Our ability to evaluate the clients’ prospects made us the leading firm in this domain.